Ripping DVD on a Mac could be troublesome as Apple no longer offer DVD drives in their computer lineups anymore and you will have to pay extra money to get an external one. And even if you have the hardware, you will still have to look for a proper DVD ripper to get your DVD ripped and digitized. Apple’s been changing the name of its own operating system constantly. from Mac OS X from 2001 to 2012 to OS X until 2016, now we have macOS. That makes Mac OS X a very old version of Apple’s operating system. Software companies had stop supporting old versions of Mac OS X and it’s not that easy to find a DVD ripper that still works on Mac OS X. But there are still programs that can do the job for you. If you are looking for a DVD Ripper for Mac OS X, check out which one you can use. The Mac OS X dvd ripper I’m recommending to you is called Leawo DVD Ripper for Mac. It can still work on Mac OS X 10.7 Lion. And it can work on all the newer versions of macOS as well. This Mac OS X DVD ripper is capable of ripping DVDs of all kind regardless of the copy protection on them. It provides all sorts of video formats for you to convert your DVDs into and it produces high quality output video files. You can easily convert DVD to AVI or MP4 or other universal formats for playbacks on all kinds of devices. It’s the perfect Mac OS X DVD ripper for Mac users who want to get their DVD collections digitized. Check out how to use this Mac OS X DVD Ripper to rip a DVD on Mac in the content below. Step 1. Leawo uses a program called Prof.Media to have some of its best selling products packed together. And Leawo DVD Ripper for Mac is inside this package as well. So download and install Prof.Media. Open it and the DVD Ripper icon should be on it. Click DVD Ripper to open DVD Ripper. Step 2. Get the DVD content imported to the program after getting into the interface of Leawo DVD Ripper. There will be a Add Blu-ray/DVD button for you to load the source media file in the DVD disc directly. Or you may following the instructions on the sign in the center and drag the source DVD folder to the program interface, that’ll also have the source media file in the disc imported to the program. Step 3. The next step is to choose what videos in the disc to rip to your Mac. You don’t have to rip all of them to your Mac if you don’t want to. To quickly choose the main movie in the disc to rip, click Main Movie. And to choose all the videos to rip at the same time, choose Full Movie. And to choose the videos manually, use Custom Mode. And OK to add the chosen videos to the ripping list and move on to the next step. Step 4. Before you can start the ripping process, you will need to set an output format for the source DVD movie. If you want to play DVD movie on Apple TV or other devices you have, you may want to choose a common format like MP4 which is compatible with most mobile handsets or electronic products. To select a format, click the Format button which locates on the left of the green Convert button and click Change. Check out all the video formats on the format list and select one you need and click on it. If you want to customize the parameters of the format you chose, there’s an Edit button in the top right-hand corner of the button of the format, click on that button to get the Profile Settings page and change the parameters of the format. Step 5. Click the Convert button up above the video list and when a sidebar comes up, select a folder on your hard drive as the location of the output videos. There’s another Convert button on the sidebar as well, click on it to start ripping the disc. 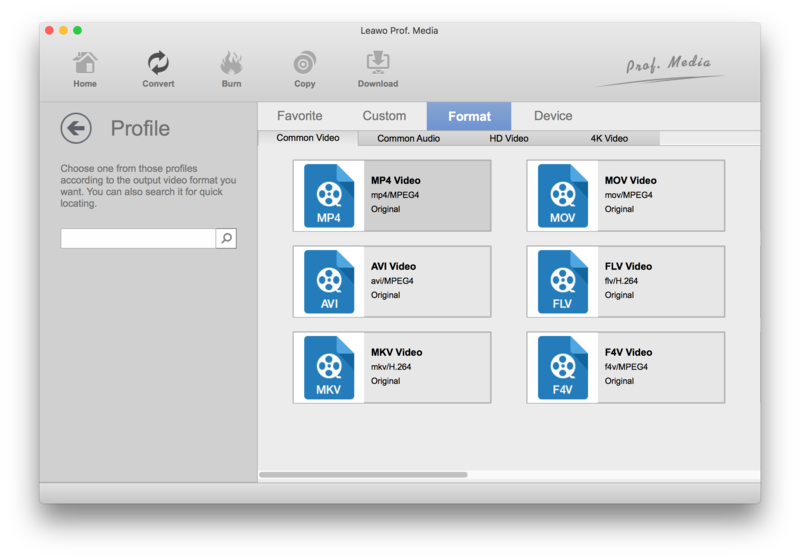 Leawo DVD Ripper for Mac is one of the best DVD Ripper mac users could use to rip and digitize their DVD collections. Not manu DVD rippers on Mac can still work on old versions of Mac OS X. 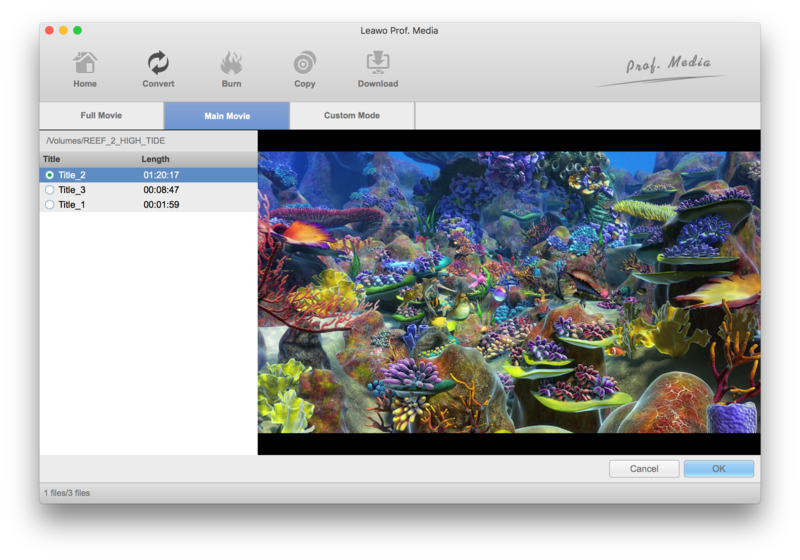 If you want, here’s another DVD ripper Mac users could try: MakeMKV. Go and see if you can find an older version of MakeMKV and install it on your Mac to see if it works. 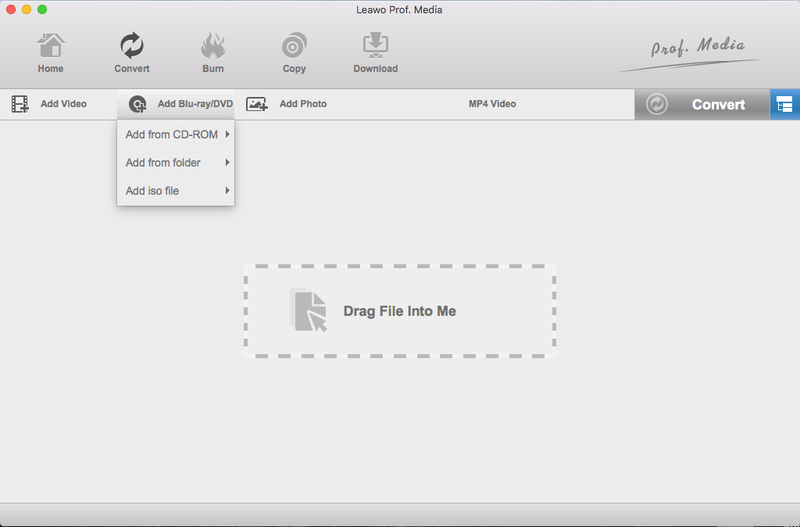 If you can get MakeMKV to work on Mac OS X, check out how to use it to rip a DVD. MakeMKV is pretty easy to use. Here’s how the program works as a Mac DVD ripper. 1. Put your DVD disc into your disc drive and launch MakeMKV. 2. Click on the DVD drive icon as it appears on the interface of MakeMKV. 3. Select the content in the disc you need from the left column after the disc is loaded in MakeMKV. 4. Set an output path for the resulting MKV video. 5. Click MakeMKV to start ripping your DVD to MKV. As MakeMKV creates a lossless MKV video, it will take significantly longer to rip your disc and the resulting file will be much larger.